The Blazing Stump was established in 1975 by Alan Baker. 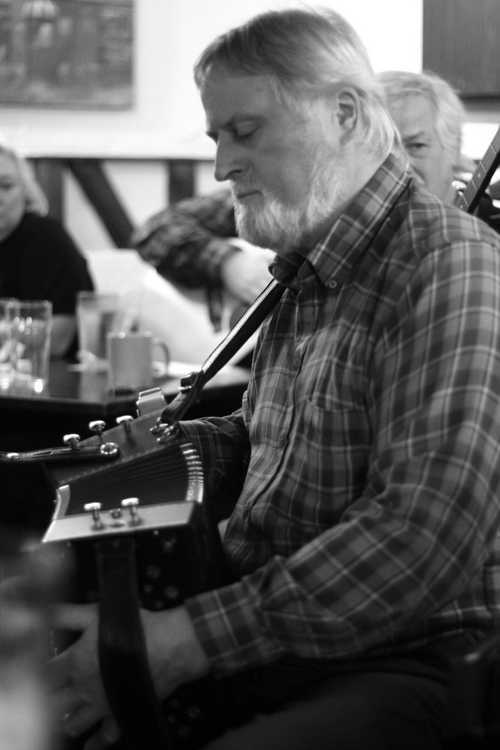 It provides a friendly and informal atmosphere for those who enjoy playing, singing and listening to traditional music. We run an "all welcome" session every month (please join us!) as well as hosting regular ticketed concerts to share our love of folk and acoustic music. We meet on the second Friday of the month at The Butchers Arms in Carhampton at 8pm, a short drive from Minehead with plenty of parking. Membership is free and there's absolutely no commitment - just a welcoming environment and a fun evening. Bring your voice, your instrument or just yourself. Don’t forget that the West Somerset Folk Festival runs from Friday 23rd-25th June 2017.